After withholding posting of its Ambassador-designate Basant Kumar Gupta to Rome, the government on Monday said further steps will be taken after completion of the review of bilateral ties with Italy. 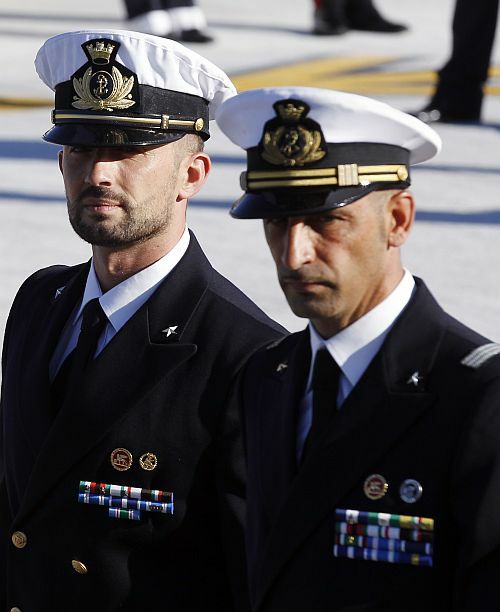 Meanwhile, Italy has invoked Vienna Convention on diplomatic immunity to its Ambassador Daniele Mancini, facing the ire of the Supreme Court for reneging on the undertaking given to it on the Italian marines' return. Asked if apart from stopping Gupta from assuming charge, the government will take any more steps, the official spokesperson in the ministry of external affairs, said, "When (the study which is underway) is completed, it will provide us variety of suggestions and it is only then we will consider various matters based on what that study provides.... At this stage this not yet ready." On the latest note verbale from Italy, he said, "Yes, we did receive a note verbale from the ministry of foreign affairs of Italy on 15th March through our mission in Rome and that note verbale drew our attention to the provisions of Vienna convention regarding diplomatic agents. "Of course, we are conscious of the provisions of the Vienna Convention and our obligation under the Convention but we are also bound by the directions of the Supreme Court in the matter and we have made this clear to them," he said. According to sources, Italy has mentioned two specific provisions dealing with the diplomatic immunity under Vienna Convention -- Article 29 that states that ‘the person of a diplomatic agent shall be inviolable. He shall not be liable to any form of arrest or detention. The receiving state shall treat him with due respect and shall take all appropriate steps to prevent any attack on his person, freedom or dignity’. The other, Article 31, said, ‘a diplomatic agent shall enjoy immunity from the criminal jurisdiction of the receiving State. He shall also enjoy immunity from its civil and administrative jurisdiction’ except in some cases. Earlier in the day, the Supreme Court, maintaining that Mancini has no immunity, has already extended its restraining order barring the envoy from leaving the country to April 2 when the case will again come up for hearing.